Solar Screen is essential when the sun is hitting your windows all day. If part of your home is heating up more than you can handle call me and I will go over to your home and show you samples of the different types of solar screen mesh I can install. Solar screen comes in different types and weaves. 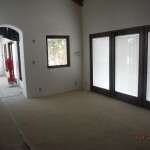 It is also available in the Black, Grey, Brown, Stucco, Dessert Sand, White and Beige. The “Textile Brand Fabric” and the “Phifer Suntex” come in a variety of of colors & weaves. They protect anywhere from 70%, 80% and 90% of the sun’s rays. 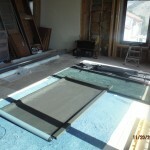 For all your Window Screen and Solar Screen Needs! conditions to meet extremely rigid specifications Phiferglass is noncombustible and will not rust, corrode or stain. Standard Window Screen and Door Screen (18×16 Mesh Insect Screen) – This standard fiberglass screen is the mesh applied in most windows and doors. Easily fabricated, this high-quality standard mesh is the preferred insect screening in the fenestration industry. 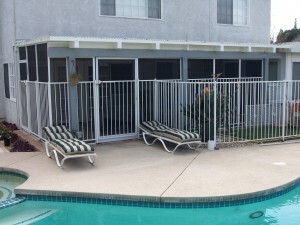 Pool and Patio Screen (18×14 Mesh Insect Screen) – Pool, Patio and Porch Screen is stronger than Standard Window and Door Screen, making it the ideal screen for large openings such as screen porches, and patio and pool enclosures. Designed for applications where extra strength is desirable. Screening to Control Tiny Insects (20×20 Mesh Insect Screen) – This Phiferglass “NoSeeUm” screen is a tightly woven mesh designed to control small insects. 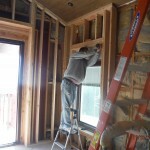 While densely woven, this screen still allows good ventilation and visibility and provides some daytime privacy. Protecting people from annoying and often disease-carrying insects, Phifer has been supplying aluminum insect screening to the World for over half a century. Phifer’s Aluminum Screen sets the standard for the screening industry’s level of quality and dependability with the production of a precision woven and uniform coated screen mesh. 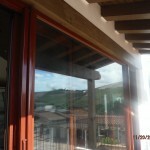 Brite-Kote – Bright Aluminum Screen is the traditional screening product of the fenestration markets. 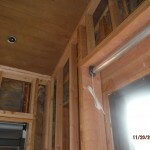 The finish is uniform and makes for easy fabrication into window, door and porch applications. Vista-Weave – Charcoal Aluminum Screen is coated with a rich charcoal finish in Phifer’s electrodeposition paint system. The glare is reduced by the dark color, which improves the outward visibility. The consistent finish of the screen gives it an architect-pleasing appearance. Black Aluminum Screen – offers the best outward visibility available in an aluminum insect screening product. Produced with Phifer’s electrodeposition paint system, Black Aluminum insect screen has a premium coating that is durable and has excellent weathering characteristics. Phifer Bronze Screen is made of 90% copper and 10% zinc to provide strength and durability. This screen weathers to a beautiful dark bronze finish. A metal screen that resists corrosion, Bronze Screen is ideal for unique architectural accents. Excellent choice for inland and coastal regions. Phifer “Pet Screen” meets the needs of pet owners by resisting tears and punctures caused by dogs and cats. Made of strong vinyl-coated polyester, “Pet Screen” is seven times stronger than traditional insect screening and offers excellent outward visibility. 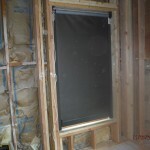 Ideal for those areas prime for potential damage and heavy wear in high traffic areas, this screen can be used on screened window screens, screen doors and screened porches. SunTex is a unique woven mesh that can block 80-90% of the sun’s hot rays before they enter your windows. SunTex is ideal for use as a shading fabric on windows, doors and porches and offers good ventilation. 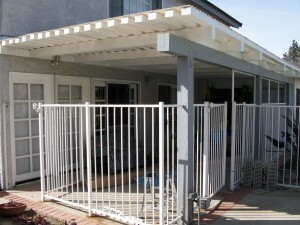 A heavy-duty shading fabric, SunTex is also pet resistant. SunTex exterior shading fabric is made of strong vinyl-coated polyester. Developed originally for use in outdoor furniture, SunTex is mildew and fade resistant and needs only an occasional cleaning with mild soap and water. SunTex is also Pet Resistant. SunScreen is manufactured for the primary purpose of reducing solar heat gain in the summer and reducing heat loss in the winter. SunScreen absorbs and dissipates up to 70% of the sun’s heat and glare before it reaches the window. 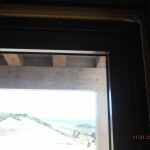 It is easily installed on any type and size of window and also performs as an insect screen. 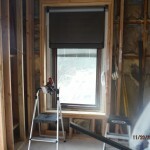 This shading fabric works weather windows are open or closed. Its weave is tight enough to stop tiny insects, but open enough to allow cool breezes to flow through. SunScreen is aesthetically pleasing as it provides a uniform building exterior. Exterior shading that looks like a screen, but works like a sun shade. Phifer Solar Insect Screening offers the ultimate in insect protection while at the same time stopping up to 65% of the sun’s heat and glare. 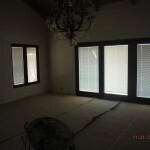 This fabric also improves daytime privacy while offering excellent outward visibility. 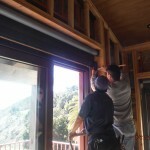 Phifer Solar Insect Screen works whether windows are open or closed. Standard roll length 100′. Fabric thickness is .015 inch. Openness factor approximately 32% and UV blockage is approximately 68%. Phifer Super Solar Screening offers the ultimate in shading protection by blocking up to 90% of the sun’s heat. This fabric also improves daytime privacy while offering excellent outward visibility. 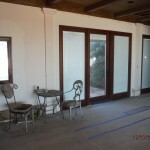 Phifer Super Solar Screening works whether windows are open or closed. 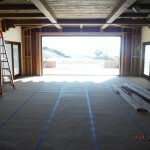 It keeps carpets and draperies from fading, as well as helps save energy. Standard roll length 100′. Fabric thickness .018 inch. Openness factor approximately 10% and UV blockage is approximately 90%. 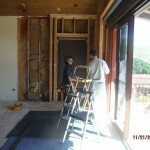 If you’re searching for Screen Doors in Sherman Oaks, CA. 91403,91413,91423,91495 area, or other near by areas, here are some other cities we service. Mobile Service in the following areas: Agoura Hills, Bel Air, Beverly Glen, Beverly Hills, Brentwood, Burbank, Calabasas, Canoga Park, Chatsworth, Encino, Glendale, Granada Hills, Hidden Hills, Hollywood, Los Angeles, Los Feliz, Malibu, Mission Hills, Newbury Park, North Hills, North Hollywood, Northridge, Oak Park, Pacific Palisades, Pacoima, Panorama City, Porter Ranch, Reseda, Santa Monica, Sherman Oaks, Simi Valley, Studio City, Sun Valley, Sylmar, Tarzana, Thousand Oaks, Toluca Lake, Topanga, Tujunga, Universal City, Van Nuys, Ventura, West Hills, West Hollywood, Westlake Village, West San Fernando Valley, Westwood, Winnetka, Woodland Hills, Valley Village. You’ve been looking for a truly functional, versatile and reasonably priced Retractable screen door, you’ve come to the right place. 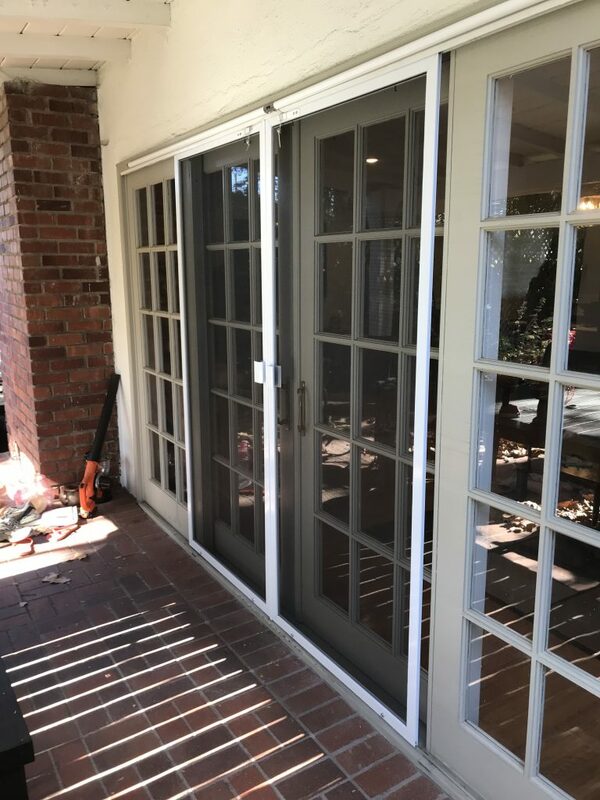 Retractable screen doors keeps your home ventilated and unwanted insects out of your home with unique, patented features that make it the most convenient screen door on the market. 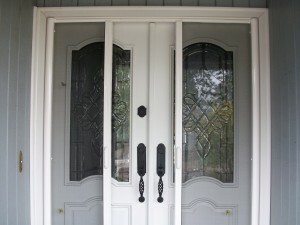 Once you try our screen, you will probably never go back to a standard screen door again. 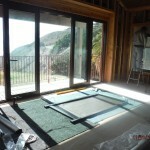 Our customers love retractable screen doors, because it really works. It saves time, hassle and money. 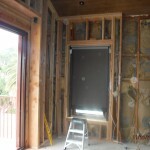 Invisible screen doors as they are also known for costs the same as most standard disappearing screen doors and solves the problems inherent with them, which is they don’t have to block your view 365 days a year, they just roll away into their housing whenever you want them to vanish. 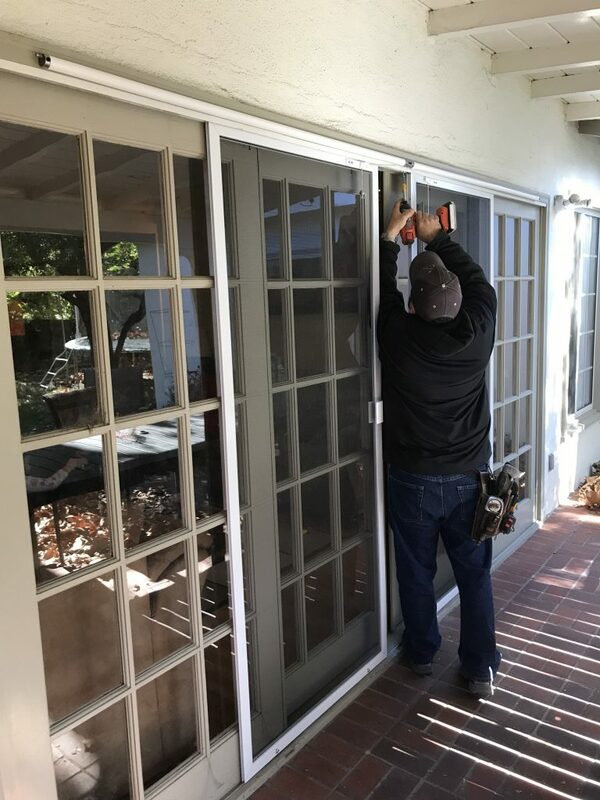 This makes it ideal not only for houses, but also for apartments and condominiums, where standard screen doors are often not permitted because of door frame damage and poor appearance. It rolls up for seasonal storage and can be stored in small spaces along your door frame, no more slamming screen doors that tear the screen. But don’t be fooled by the imitations. We are the original distributors and installers of the patented, Stowaway retractable Screen Doors and we stand by our superior product.